"Solid DSP that would be a great DSP with a few UI updates"
Campaign setup is easy and intuitive. You're able to learn the basics needed to set up a campaign pretty quickly, which cuts down on the needed training and on-boarding time. There is no "pace ahead" feature. Other DSPs offer a way to pace ahead by 10-20% , but Amobee only allows you to pace evenly. This makes it harder to ensure delivery without tricking the system by changing the flight dates to end a few days early. There is also no way of finding out why you're losing bids. 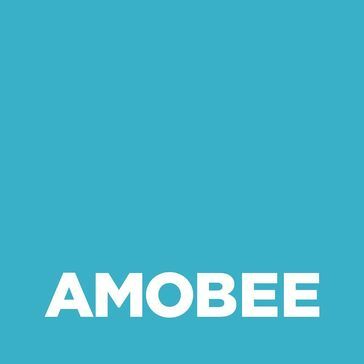 Other DSPs offer reporting that shows you how many impressions you're losing out because of bids, creative sizes, geo, etc, but Amobee does not have the same offerings. If you're going to use Amobee as your DSP and DMP, and eventually integrate social as well, Amobee is a good solution. If you're looking for a standalone DSP with cutting edge features, there are better DSPs available. Amobee gets the job done. Although it's not the easiest or the most state-of-the-art DSP in the marketplace today, you are able to get launch and optimize campaigns fairly easily. "Leverage Turn as a programmatic DSP"
- The ability to apply data insights to media strategy and tie in 1st party data as well. - Another benefit of using Turn is the customer service of their sales team. Currently we leverage Turn's service team to pull the levers for us with managed service. - At times have seen low viewability and low in-geo percentages, but are able to make optimizations to improve along the way and learn as the campaign goes. Use all the data they offer, it is quite extensive and really helps develop a smart media plan. Reaching our target audience and sequentially message them over a period of time. 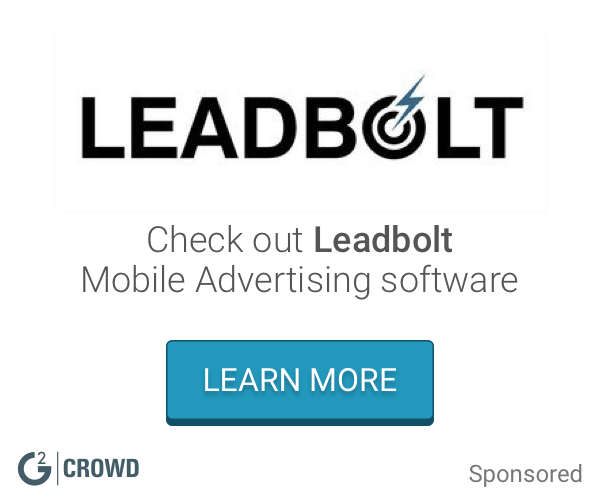 What Cross-Channel Advertising solution do you use? "DSP mainstay moving in a good direction with a great algorithm." Amobee has amazing predictive ad serving. When running broad display campaigns, Amobee has the ability to outshine many other DSPs. They also have good data connections with social platforms. Retargeting is very hard, and the line item system is challenge to use efficiently. Amobee is a top tier DSP. If you are focusing on prospecting rather than retargeting, Amobee is your DSP. We use Amobee as one of the DSPs in our tech stack for our clients. It provides wide spread reach for display advertising campaigns. Turn has been a longstanding partner across multiple brands that I have worked on because they provide a programmatic offering that is top of the line. Having access to every exchange out there and all of the targeting capabilities under the sun, they make a great one-stop-shop if you are looking to try out a the programmatic tactic. Because they pull from every exchange out there, some of the inventory can be extremely longtail. That goes for any programmatic partner though. For all programmatic partners, I recommend ALWAYS monitoring viewability/brand safety through a 3rd party just to ensure your media is serving in brand safe areas. Use this vendor for desktop heavy campaigns. The business goal was to drive site actions on our clients website. Have the ability to have multiple targeting tactics under one partner (site retargeting and 3rd party data targeting), it allowed us to auto-optimize to the best performing tactic. So if Turn's algorithm saw site retargeting driving better performance, the tech. would shift more budget to that tactic and away from 3rd party data targeting. Set up with Turn was quick and effortless. Turn was able to deliver campaign KPIs in full, with opportunity to optimize mid campaign. I was required to frequently monitor the campaign in order to deliver campaign KPIs in full. No other issues with Turn. For our campaigns, we are determining how to manage KPI and performance expectations. We were able to optimize mid campaign to meet media goals. "It works- but not my favorite"
We use it primarily for programmatic display, it is convenient to keep everything in one place. Great service and able to target the intended audience for the advertiser was trying to reach. Reporting was very helpful and easy to read and decipher. Their targeting technology/ Algorithm at the time of working with Turn, although good, did make the cut when choosing the best DSP partner for our client. Make sure Turn is the right fit and aligns with your overall KPI's. Turn is great company and if used and treated as a true partner can be a successful for your overall goals. Turn was use for scale and targeting/retargeting. Finding the right user at the right time at the lowest cost had some drawbacks. Fraud and integrations with verification companies not in place of our DSP review. We give them our objectives and what we want to accomplish and learn from a buy, and they figure out essentially everything needed to make it happen on their end. They aren't always 100% transparent about the optimizations taken, and there have been times when I felt that an optimization that was done on their end without asking us was too major to have not been approved even if backed by data. We've really figured out how to do programmatic well in partnership. Amobee has always performed well when I have decided to use them for display campaigns. At times we have a minimal budget however their team is always willing to make something work. Up until this point, I can't think of any negative things to say about Amobee. It may depend on your specific KPI or goal for campaign, but Amobee has been able to perform for us across various different clients. We've used them for healthcare, travel, and education. I have used Amobee for display advertising campaigns for prospecting and retargeting efforts. "Decent but lackluster ad server"
Amobee for Publishers has a clean interface. Running inventory forecasts is straightforward, and reporting is fairly straightforward. However, their own staff does not seem convinced that it's a strong player in the space, so our demos were not done with confidence. The ad server does not appear to be gaining much market share, so finding other publishers that use it can be difficult. Vet the other strong ad servers in the market like DFP, AdMarvel, Mocean (Pubmatic), Smart Adserver, and OpenX. Draw up a list of your most important functionality and characteristics, and have demos that emphasize those characteristics. Then narrow down your list and have a second round of demos with your finalists and key features compared back to back. We were trying to use a one-stop shop for ad-serving, both mobile, desktop, and video, and include an SSP as well. We used it for a trial period and liked the fact that the SSP was built-in. the precise targeting capabilities within the platform - specifically dynamic creative optimization, competitor conquesting, and sequential messaging capabilities. Working to drive consumers down the purchase funnel. Have seen the benefits of managing an audience from 1st point of contact to the sale. "Turn was an above average product"
It has excellent capabilities as a DSP, which was made very accessible by great account representatives. They were able to target from many different angles and methods. They were a little slow on the reporting front, and struggled with getting across some of the more concise reports that were needed. Be very upfront with all of your reporting needs. For the campaign I worked with Turn on, we were trying to better understand the demographic of people who were interested in our product, and with Turn we could find some unexpected niche audiences. programmatic is tricky- KPI's don't always feel so straightforward when CPT is involved in my national campaigns. I prefer to stick to optimizing towards TR but oftentimes TURN recommends CPT. Just an example, but sometimes success is not so black and white in programmatic it seems to me. viewability is an issue still. TURN uses MOAT, but I believe they are currently working on an integration with IAS (my agencys preferred partner). so that'll be a great help. "Turn is a great solution should you have a team dedicated to programmatic media in-house"
Heavily dependent on third party technology companies - ie MOAT, adometry, etc. "Turn has a great team! " I think the best capability I like about Turn is their user-friendly reporting. Not only is the reporting helpful, but the team of experts over at Turn really help you in understanding the specific information. Some of the reporting can be overwhelming and don't pertain to the certain metrics we are requesting within the campaign. However, that is easily solved through communication. Cost-per-Traffic is something Turn has really helped us out with. The way they are able to optimize based on certain metrics through their programmatic platform is awesome! "Review of Trafficking Relationship for Digital Media"
The mocks of our creative that TURN sends is almost always accurate the first time, which is more than we can say for may of our partners. That's a huge help! TURN has before set creative assets live when they were not yet meant to be live, which on certain accounts leads directly to legal compliance risk and can result in much blowback from clients. We're an ad agency, so our relationship with TURN allows us to serve our clients. TURN is an excellent retargeting partner. The reason we wanted to run with TURN was that they were well reviewed in the industry. We were also trying to consolidate our buy across multiple divisions for TURN to gain more insights. We did not like our sales rep, and the TURN technology proved to be mediocre. After consolidating our buys, we did not see improvement in terms of our metrics, and their system was unstable and fluctuated a lot. Client services, campaign management, and responsiveness. Addition of publishing partners and networks to increase the scale available to plug into PMP environments. Customer service was great. The technology and data we could tap into was great. I also liked their transparency in reporting. Executed campaign without full knowledge of Turn. The buy was taken over mid-campaign after winning the new piece of business. Transition was smooth during the switch with agencies. I would consider Turn during another RFP process. Especially when needing unique targeting capabilities. Audience insights. Figuring out/defining who our target is. Turn is great with their data. "Turn has been incredible to work with - huge success." Turn has a ton of options - open exchange, private market, etc. They have partnerships beyond your imagination and can reach people you want to reach in all campaigns. It's incredible. Their service is great too - great people to work with on a daily basis. Tech fee - but that is not something anyone can avoid at this point. Awareness. The way Turn works helps us solve that problem - it's incredible! Very insightful as far as DSP providers. The DSP is great for efficiency so advertisers interested in buying more for reach/efficiency should connect with Turn. They do need to work better on their communication and transparency. Make sure that you are outlining your benchmarks thoroughly so that Turn can prioritize in their DSP server. Turn is beneficial from an efficiency standpoint. They lack in premium video inventory. Oftentimes they do not provide the most efficient solutions to your problems. Be extremely direct and prescriptive with what you want from them. The team was very helpful in addressing any questions or concerns. They were also great about delivering weekly or bi-weekly updates on campaign performance. "Turn does the trick, with few differentiators"
Good customer service and technology that allowed for high reach of my message with deep targeting and across multiple platforms. Unclear differentiation from the competitive set. Take advantage of full service platform and cross-platform offerings. The increasing need for cross-platform programmatic. Increased targeting and efficiencies. "GM of digital publisher "
"Good capabilities and decent service layer"
"Worked with them as primary DSP for a past client account"
"Worked with Turn for 3 years"
Turn was always one of our strongest performing DR partners. We had a lot of issues with Turn and viewability. Trying to find efficient DR partners that drive conversions. Turn's targeting was very efficient. This partner provided insights and optimizations frequently, but when it came to financials, it takes days to get a response. They were reasonable with their pricing models. They are not very transparent in regards to their targeting and their insights are very topline. "I have worked with Turn on a digital campaign for several quarters in a row. " The team is friendly and conscientious. Would like to see more innovative thinking. Personalization - serving the right message to the right user at the right time. "Turn key with quick execution times." Buys can be planned and executed day of. I really like the ease of implementation. * We monitor all Amobee DSP reviews to prevent fraudulent reviews and keep review quality high. We do not post reviews by company employees or direct competitors. Validated reviews require the user to submit a screenshot of the product containing their user ID, in order to verify a user is an actual user of the product. Hi there! Are you looking to implement a solution like Amobee DSP?